The Russian Foreign Ministry said Tuesday that its diplomatic academy had bestowed an honorary doctorate upon former US Secretary of State Henry Kissinger, who is currently on a visit to Russia. 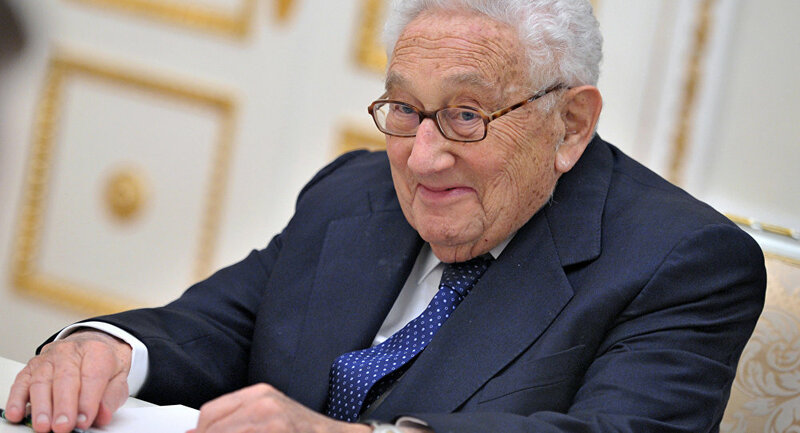 MOSCOW, October 29 (RIA Novosti) – The Russian Foreign Ministry said Tuesday that its diplomatic academy had bestowed an honorary doctorate upon former US Secretary of State Henry Kissinger, who is currently on a visit to Russia. Russian Foreign Minister Sergei Lavrov congratulated Kissinger on the new title, and the two men exchanged thoughts about prospects in US-Russian diplomatic ties, the ministry said in a statement. Russian President Vladimir Putin, who also met with the veteran US diplomat, said Kissinger’s views on global problems were always of particular interest to Russian politicians and diplomats, according to a Kremlin transcript. “You have not simply been doing diplomatic service or similar activities; you have been a global politician for almost your whole life,” the Russian leader said. “You have many friends in Russia, both among our foreign policy veterans and among other people as well, who always pay great attention to your views on how the global political situation will develop. So giving you an honorary doctorate by the Russian diplomatic academy makes perfect sense,” Putin said. Kissinger thanked Putin for the meeting and noted that he had been visiting Russia regularly throughout the past 50 years.